Pursuing inclusive growth … will the Planning (Scotland) Bill be enough? After months of anticipation, the Scottish Government has finally introduced the Scottish Planning Bill into Parliament this week. The need for reform was originally explored in 2015’s independent review (resulting in the report ‘Empowering planning to deliver great places‘) so progress has been relatively slow, with multiple workstreams and consultations working towards fulfilling the aims and aspirations of the review. Ministers have insisted the Planning (Scotland) Bill will “improve the system of development planning, give people a greater say in the future of their places and support delivery of planned development”. The complexity of reform in this area is exemplified, however (if any evidence is needed), by the announcement at the end of November that the Draft Planning Delivery Advice on Housing and Infrastructure was to be withdrawn as (in the words of the Chief Planner) “there remain a number of areas of continuing disagreement”. The Bill proposes a number of measures including bolstering the status of the National Planning Framework, removing the requirement to produce strategic development plans and simplifying the processes for producing local development plans. The Minister for Local Government and Housing, Kevin Stewart, explained that “We should be focused on delivery rather than a continuous cycle of plan making”. As expected, there is also a strong focus on empowering people and local communities and enabling them to have real influence on future development. The Bill includes a new right for communities to produce their own plans for their places. These ‘local place plans’ and their relationship to local development plans, has the potential to be complex. 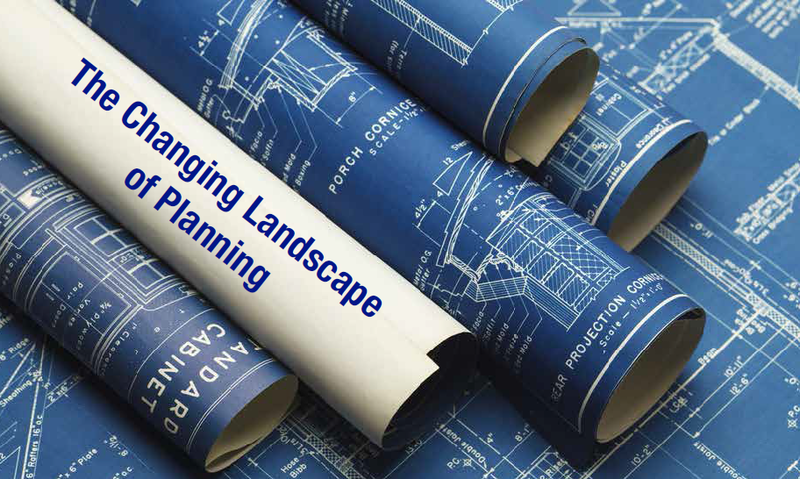 At the time of the consultation on the Planning Bill, SPEL Journal highlighted concerns that community planning and land-use planning “speak to very different agendas” and the desire to reconcile the two presents difficult challenges. As well as a number of changes to development management processes, the Bill also includes provision to strengthen enforcement powers, widen the scope of planning fees and introduce an infrastructure levy. There is also a new requirement for members of planning authorities to undertake training. Immediate responses to the Planning Bill seemed cautious. The Chair of the Scottish Alliance for People and Places, the Rt Hon. Henry McLeish commended the significant consultation process that had led to this point, but said “there is space to build on its ambition” if Scotland is to achieve “a move to a much more inclusive, holistic and innovative system of planning”. This requires “articulating a compelling and positive vision for planning, rather than simply making technical changes”. Planning Aid Scotland chief executive Petra Biberbach said the Bill in its current form doesn’t go far enough on engagement and inclusivity and should be revised. Concerns were also raised by the John Muir Trust over protection for Scotland’s landscape and environment. The JMT said it was disappointed by the Bill and that it risked introducing more centralising of control, in particular in relation to the balance between communities’ views and developers. “All this risks adding up to further, unaccountable ministerial decisions on issues better decided at a more local level.” As reported in SPEL Journal this year, the Trust has been involved in a number of planning appeals in the area of wind farm permissions and is a strong supporter, along with other organisations, of an Equal Right of Appeal for communities. Completion of the Bill is subject to the Scottish Parliament’s timetable, but the Chief Planner has indicated that the Scottish Government expects it to be passed by the end of June 2018. SPEL Journal (Scottish Planning & Environmental Law) is one of the leading resources on land use planning and environmental legislation across the country. During 2018, it will follow developments with the Planning Bill and provide expert commentary and analysis. An annual subscription to SPEL Journal is £145. For further details or a sample copy, please contact Christine Eccleson, SPEL Journal’s Subscription Manager, on 0141 574 1905 or email christine.eccleson@idoxgroup.com.